From intimate gatherings to more extravagant affairs, functions at InterContinental® Abu Dhabi set the standard in the UAE capital. With a range of stunning venues and an expert team of planners, we can tailor your event down to the very last detail. Got a milestone coming up? Important partners to impress? 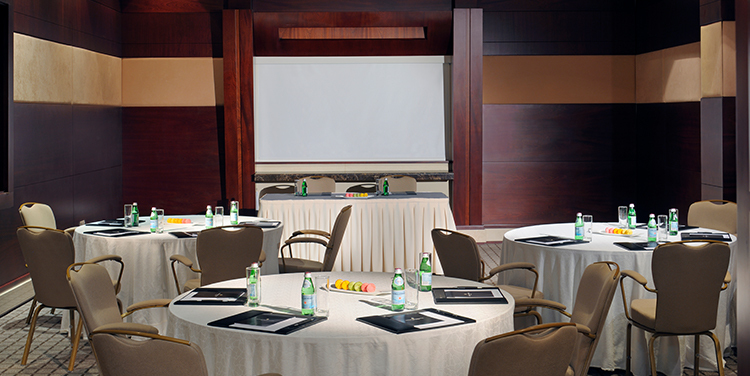 InterContinental Abu Dhabi offers meetings and events solutions customisable to any occasion. Our flexible spaces let you host confrences of any size, while our spectacular Grand Ballroom is the place for a grand gala or a large-scale corporate event. During the cooler months, we also provide stunning outdoor venues that encompass our private beachfront, promenade and terraces overlooking the marina. Whether you're hosting a garden party against a backdrop of twinkling marina lights or organizing a seminar for 100 of your closest colleagues, InterContinental Abu Dhabi has the venue for you. With support from our events team and a delicious array of cuisines available for in-house catering, the perfect event is within your reach. See our events menu below for inspirational ideas for your next big occasion. Download our meetings brochure here.